The NWSF online registration process utilizes PayPal. You do not need to have a PayPal account as PayPal will accept most major credit cards. To offset the PayPal processing fee a modest amount has been added to the registration fee and t-shirt prices. 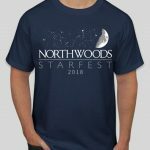 If you prefer to not pay the processing fee you may print, fill-in, and mail paper forms that are available on the NWSF information page. Select the registration type: Adult (13 and older), Student (5 through 12) or Child (under 5). Select a lodging type: Tent/Camper, Cabins, or Offsite. 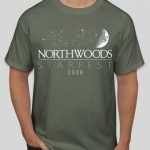 See the NWSF information page for lodging details. Enter the registrant’s first and last name. Enter any special requests – we will do our best accommodate them. Selecting either “Add to Cart” button will take you to your NWSF shopping cart. You may now “Checkout” and complete your registration or “Continue Shopping” to add another registrant or add another t-shirt to your order. You can also select “View Cart” to see the current contents of your NWSF shopping cart. At anytime that you are viewing your shopping cart, items in the cart can be deleted. To see the details of any item in your cart select “more” link under the item. If you need to make a change to any item your shopping cart, remove it and then add it again. CVAS will use the email address provided during the checkout process to send a payment confirmation. Sorry – the NWSF t-shirt order deadline has passed. A limited number of t-shirts may be available for purchase at check-in.